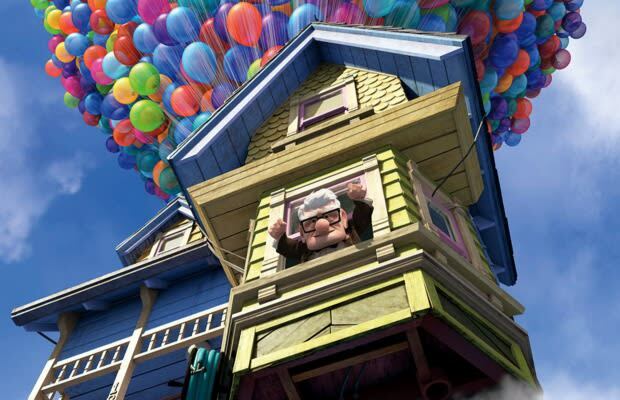 Neighbors Speak Out Against a Couple Who Remodeled their Home to Look Like the House from the Animated Movie "Up"
A couple from California has been stirring up a lot of controversy in their historic neighborhood over their family&apos;s love of the animated film "Up." Hosam Haggog and Fatima Rahman spent more than two years remodeling their Santa Clara home to resemble the colorful house from the movie. However, they reside in the highly sought-after Old Quad neighborhood that has homes that are more than 100 years old. The neighbors, who take a lot of pride in preserving the look of the Victorian houses in the area, are not happy about the "Up" inspired home. One neighbor said, "It really, in my opinion, is atrocious that this Victorian is a gracious old lady and it&apos;s being painted up to look like a clown." Another stated, "I like historical houses to be historical. On the other hand, it&apos;s his home and I feel that sometime down the line it&apos;s going to be repainted again anyway." The couple was inspired to undertake the ambitious project by their young daughters, who are big fans of the film. "They love the movie &apos;Up&apos; and we just thought we&apos;d give them something fun to be proud of and actually all the kids in the neighborhood really love the colors," Haggog told NBC. "We&apos;re not trying to create controversy," Rahman said. "We&apos;re trying to build a home for our daughters and our family. And that&apos;s what our intention was."